The rise (and possible success) of Disney’s new streaming service, Disney+, is going to rely a lot on whether the entertainment deity can get people accustomed to adding yet another video site/app to their regular rotation of watchable stuff. In other words: Whether they can build up some kind of habit, and, hey, congratulations: That’s all it took to help us turn this story into a stupid pun. 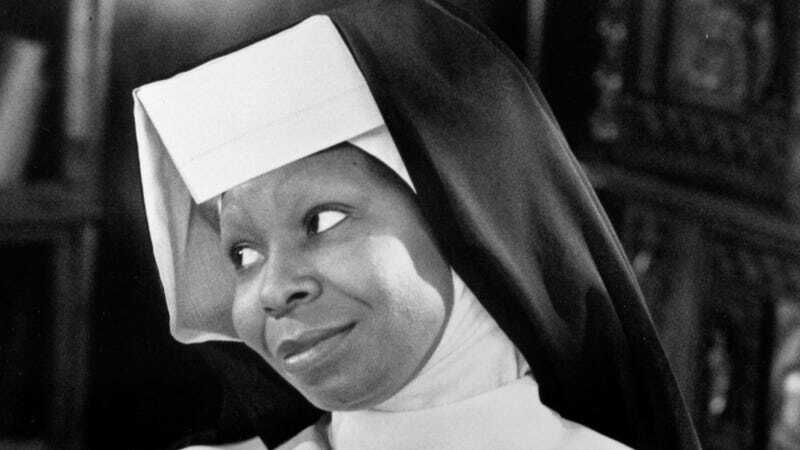 Which is to say, Variety reports today that Disney has put a second sequel to Whoopi Goldberg’s Sister Act into the works, written by Insecure’s Regina Hicks and Star’s Karin Gist. It’s still very early days on the project, obviously, but the film will presumably involve some combination of fake nuns, real mobsters, and a whole lot of singing Kathy Najimis, and will debut on Disney+.